Free Recipe Cards - An Indulgent Italian Weekend At Home! Just sign up to FriFran for NEW recipes, FREE EBooks, updates, new releases, offers (and more!) and download and print your FREE Recipe Card set! 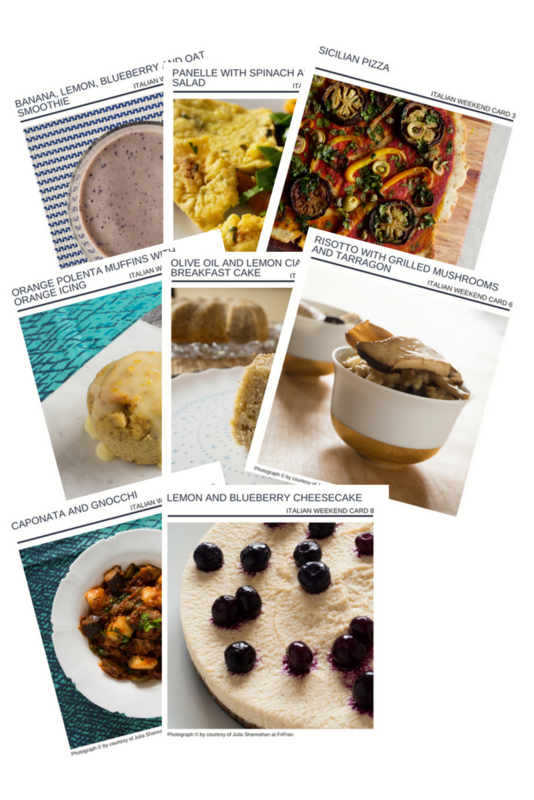 You can then download the FREE Recipe Cards!